Researchers demonstrated the use of an all-optical ultrasound imager for video-rate, real-time 2D imaging of biological tissue. The achievement is an advance toward making all-optical ultrasound practical for routine clinical use. In contrast to conventional ultrasound imagers, which use arrays of electronic transducers to transmit and receive, all-optical imagers use light to both transmit and receive ultrasound waves. Pulsed laser light is used to generate ultrasound waves. Scanning mirrors control where the waves are transmitted into the tissue. A fiber optic sensor receives the reflected waves. Data is acquired from multiple optical source locations, and a visualization is created that reconstructs the area being imaged. This prototype is the first all-optical ultrasound imager to demonstrate video-rate, real-time 2D imaging of biological tissue. The achievement is an important step toward making all-optical ultrasound practical for routine clinical use, where it could offer significant advantages over current imaging technology. Courtesy of Erwin J. Alles, University College London. To achieve an acoustic source with the optimal directivity, researchers from University College London used a nanocomposite optical ultrasound generator, a fiber optic acoustic receiver, and eccentric illumination. They scanned the source across a 1D source aperture using a fast galvo mirror. To achieve a sensitivity suitable for imaging weak reflections from deep within biological tissue in real time, the team used a centimeter-scale ultrasound generation surface comprising carbon nanotubes and an elastomeric polymer. Eccentric optical excitation was achieved using cylindrical optics and a Fabry-Pérot cavity for ultrasound reception. “The flexibility offered by the scanning mirrors will allow for seamless switching between 2D and 3D imaging, as well as a dynamically adjustable trade-off between image resolution and penetration depth, without the need to swap imaging probe,” said researcher Erwin J. Alles. The researchers tested their prototype system by imaging a deceased zebrafish and also a pig artery, which the system manipulated to emulate the dynamics of pulsing blood. The demonstration showed imaging capabilities comparable to an electronic high-frequency ultrasound system, with a sustained frame rate of 15 Hz, a dynamic range of 30 dB, a penetration depth of 6 mm and a resolution of 75 × 100 μm. All-optical ultrasound has the potential to overcome several fundamental limitations of its electronic counterparts. 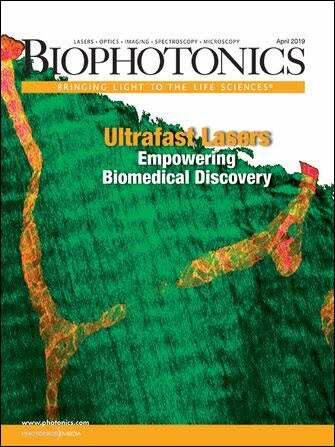 “Through the combination of a new imaging paradigm, new optical ultrasound-generating materials, optimized ultrasound source geometries, and a highly sensitive fiber optic ultrasound detector, we achieved image frame rates that were up to three orders of magnitude faster than the current state of the art,” said Alles. To adapt the technology for clinical use, the researchers are working to develop a long, flexible imaging probe for free-hand operation and miniaturized versions for endoscopic applications. High-quality 2D and 3D all-optical ultrasound images of tissues have previously been presented; however, long acquisition times, ranging from minutes to hours, have hindered clinical application. The research was published in Biomedical Optics Express, a publication of OSA, The Optical Society (doi:10.1364/BOE.9.003481).